The District’s Annual Report contains a wealth of information about your water including where it comes from, substances expected to be in water, health information, data on your water quality, and more…. The District’s Annual Report conforms to the regulation under the Safe Drinking Water Act requiring water utilities to provide detailed water quality information to each of their customers annually. The District is committed to providing you with this information about your water supply because customers who are well informed are the best allies in supporting improvements necessary to maintain the highest drinking water standards. 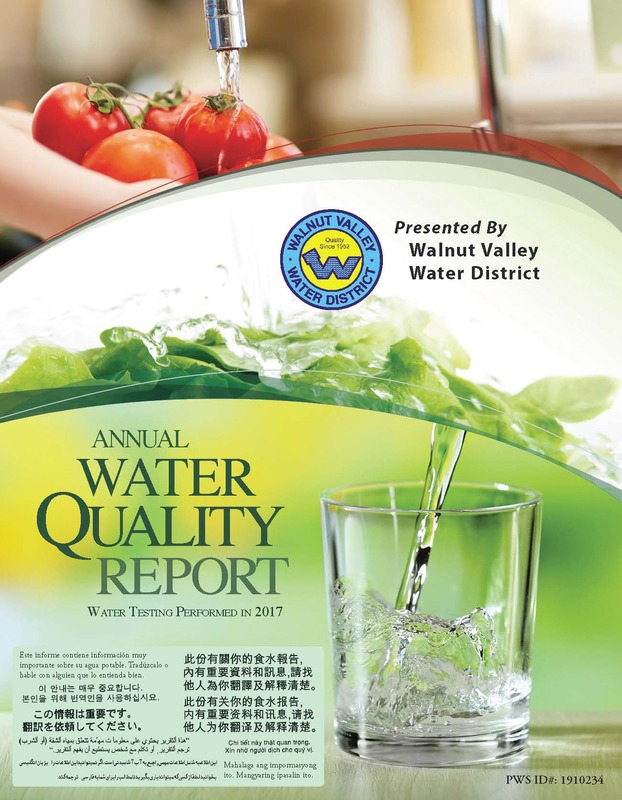 The District’s annual water quality report is typically released in June of each year for the prior year. Just click on the report below to open. The file will open automatically if Adobe Reader is installed on your computer. If the file does not open, just click on the Adobe Reader icon below to download the FREE Acrobat Reader program. It’s easy! This program will enable you to view the most recent water quality report.